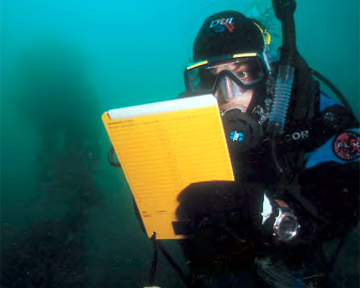 Course Overview: If you want to learn about the plight of worldwide aquatic ecosystems and how you can protect them, this Specialty course is for you. 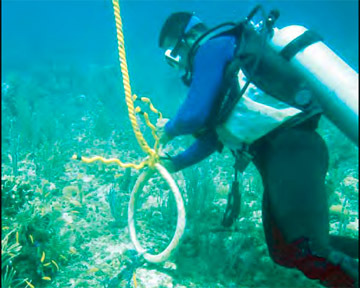 This non-diving Specialty course may also be conducted in conjunction with other Specialty Diver courses. Prerequisites: Open to divers and non-divers. No age requirement. Course Activities: You will watch a short video and review your knowledge review answers. You will learn about aquatic ecosystem degradation and the conservation measures protecting aquatic resources. This includes the Project AWARE philosophy, "The Aquatic World in Peril - The Ocean Common", fisheries concerns, the Coastal Zone, Coral Reefs, Marine Pollution, Overview of Degraded Marine Environments, Role of Diver in Protecting the Aquatic Environment, and what can you do to help. Classroom: There is one classroom session. The classroom session will cover each of the chapters, review your knowledge review answers and watch a short video. Independent Study: Read the A.W.A.R.E. - "Our World Our Water" manual and complete the knowledge review. Materials/Equipment Required: The A.W.A.R.E. - "Our World Our Water" manual (included in course price). Length of Course: If you have read the AWARE - "Our World Our Water" manual, complete the knowledge review and watched the entire video prior to coming to class then the classroom session will last between 1.0 - 1.5 hours depending upon class size.